Today we are interviewing Craig S. Wilson about his historical fiction novel, Gig. Gig is up for nomination for the Kindle Scout program. Click here to nominate it. Cory Wallace and his band Cornerstone's dreams of glory are tested upon high school graduation into the turbulent late 60's. So is his relationship with childhood sweetheart, Mary Ellen, who is also his song-writing partner. Will the bonds of music and love survive the onslaught of a world of work, war, and social revolution. Cory's grandmother, Winnie Rockwell, is the one constant who's spiritual guidance helps him to discover his true soul. Craig S Wilson is a serial creative, who has written 300 songs, three musicals, and three books. He published "Dating for Life" in 2013, a book describing the four keys to maintaining successful relationships. He will soon finishing"RIO", a novel about the quest for survival of a street kid named Lucas Rocha in the glorious and gritty Rio de Janeiro. 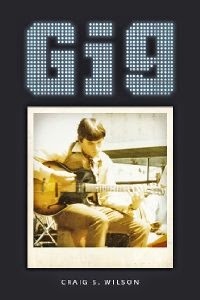 Gig is a historical fiction based upon his passion for the exploding music scene of the 60's and the wonderment of teenage romance. Tell us a bit about the cover and the inspiration for Gig. The cover is designed around a photo of me when I was in an eighth-grade garage band and dreamed, like thousands of kids of that era, about being a rock star. The bold font and colors represent the boldness of that time when dreamers were everywhere, especially when it came to music and love. I find it fascinating how insulated kids can be in high school, regardless of the era, and how their lives and relationships are altered forever once they are pushed out of the "nest" and into the real world. Visit my website, www.CraigSWilson.com for my background, current projects, music and videos. Subscribe to my monthly blog and keep updated on new activities.